The Car Seat Program was started in 2012 with a small grant from the State of California Department of Public Health to purchase and distribute booster seats to families in Imperial County. During the first year of operation the Commission committed to working with migrant farmworker families and other low income families. A partnership was established the local school site and three Migrant Head Start Program preschool centers because that segment of the population was identified as having the highest need of booster/car seats due to their socio-economic status and high level of mobility. Booster/Car seats were distributed at 3 Migrant Head Start sites located in the cities of Calexico, Brawley and El Centro through fitting stations. In addition, the Commission, through School Readiness Program Family Health and Community Resources Fairs, worked to set up fitting stations at two public schools. At these events the Commission partnered with the California Highway Patrol and the Imperial County Public Health Department to ensure that booster/car seats where installed correctly and performed by individuals that were Nationally Certified Car Seat Installers. In addition to the installation of these child restraint systems, families were further instructed on the proper maintenance, placement in the vehicle, and how to ensure that the seats are strapped in correctly. 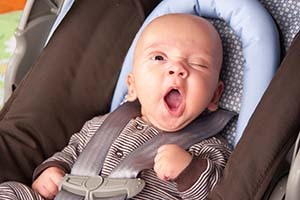 A significant number of car seats that were defective or expired have been confiscated by the California Highway Patrol since the inception of the program as these child restraint systems pose a potential health hazard for children. During Fiscal Year 2012-2013 the Commission, along with its partners, worked to distribute over 160 car/booster seats to families that have young children. For Fiscal Year 2013-2014 the Commission intends to distribute over 60 new car seats through Family Health and Community Resources Fairs. The Car Seat Program is only available during the 9 Family Health and Community Resource Fairs sponsored by the School Readiness Program. If you live within the catchment area for any of the 9 School Readiness Schools (which are listed here) please attend to have your Booster/Car seat inspected and if necessary replaced while supplies last.